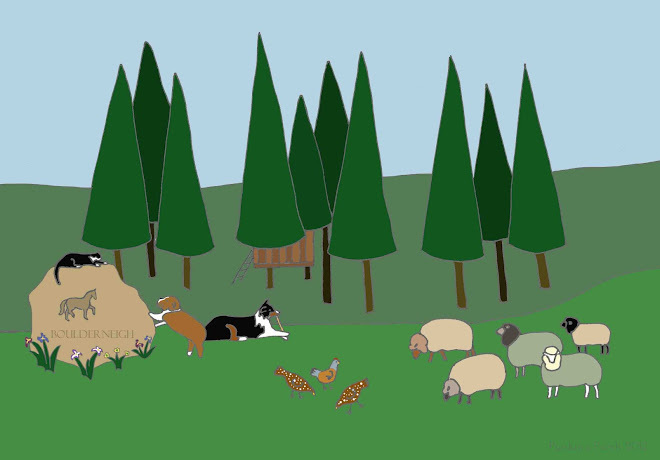 Agouti genetics (Ag) are a fascinating, or frustrating, thing. If you like WYSIWYG (what you see is what you get), Ag Shetland sheep can be frustrating, because they change dramatically in appearance from lambhood to adulthood - and often from season to season! But if you like change, Ag Shetlands are fun to watch. Take Rechelle, my Ag gray ewe. 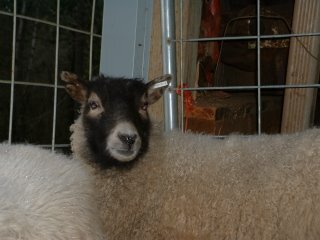 When I bought her I was thinking WYSIWYG (obviously hadn't learned much yet about Shetland genetics!). Light gray fleece (although her breeder did say she has spots that show up when she's sheared), black legs and face with attractive light circles around her eyes and muzzle. Beautiful fleece, too, don't you think? Rechel's daughter Bella is also an Ag gray. Having her from birth has been a fascinating journey, and I've been told we're far from done! 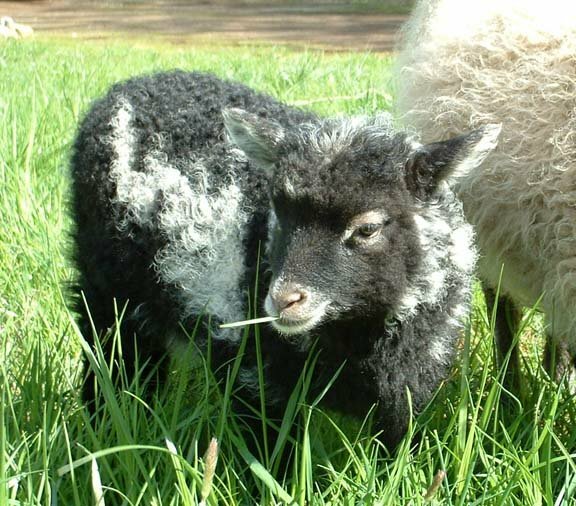 At birth she was a strikingly beautiful (hence her name) black lamb with white spots. But those telltale "sugarlips" gave her graying genes away, and it didn't take long to start seeing changes. Within weeks I could see white wool growing in at her roots, and she started showing katmollet markings (lighter around her eyes and muzzle). Then her face and legs started fading, just like her mother's did. I thought she was going to change quickly to a very light gray fleece like her mom. But no - at least, not yet. 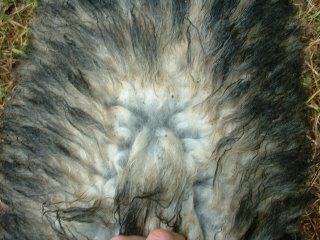 One day as I was scratching and petting her, I parted her fleece to find steely gray growing in at the roots! I looked further, and found that she was still white at the roots where her white spots had been, lighter gray at the roots in some areas, and that steely gray at the roots along her back. Wow - tri-colored locks! 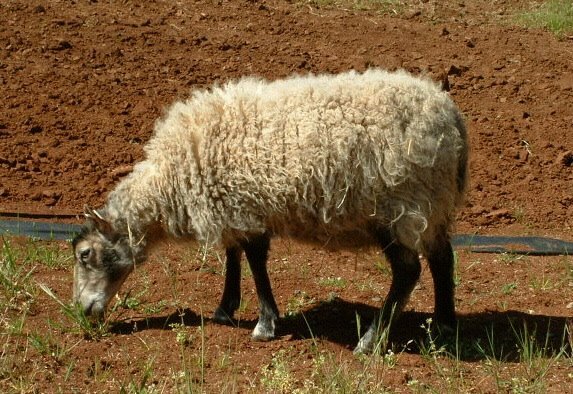 I'm going to have to get into fiber arts, just to be able to use and appreciate Bella's once-in-a-lifetime lamb's fleece if I still have her at Boulderneigh next spring. I'd say that lambs fleece will be priceless!